One among the most used APIS out there movie ticket booking API used by Apna Recharge helps you in finding tickets to the movies of your liking. 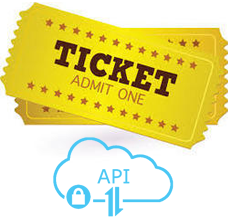 Our movie ticket booking APIs are very fast in terms of finding and placing ticket orders. With the ability to book tickets from all online supported theaters Apna Recharge can help you find and place reservations in no time.
. The APIs used are secure and transparent that each transaction made are by the knowledge of the user. The APIS are also advantageous in giving an interactive interface to the users. Apna Recharge provides all the portals to all new films so that you won't miss out on any new releases.